Day 26 of the Blogging from A to Z Challenge! And it is Z for Zig Ziglar! 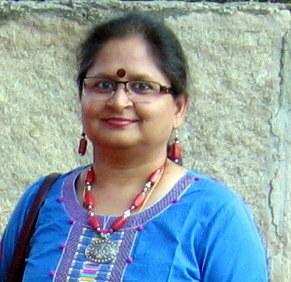 Vidya Sury is a professional copywriter, editor and blogger. In a previous life, she was a corporate powerhouse. She now works from home crafting connections between businesses and their target markets, but prefers to focus on collecting smiles, playing with her dust bunnies, showing her diabetes who’s boss and celebrating the little things. She loves coffee, people, cooking, reading, writing, photography and travel. Vidya blogs at Vidya Sury, Collecting Smiles, Coffee with Mi and Your Medical Guide. She enjoys writing for Blogging Betties and Write Tribe. Zig Ziglar (1926-2012) is an American Author, Salesman and motivational Speaker and trainer and World War II veteran. He has written more than two dozen books, all of which are best-sellers. He has millions of fans. My first introduction to Zig Ziglar (1926-2012) was in 1989, when I began my sales career. The company I worked with had amazing sales training programs and it was during one of these that a book by Zig Ziglar titled “Secrets of closing the sale” was recommended for reading. I remember devouring the book. Closing is one of the toughest stages in the sales cycle and as a newbie, I could do with every bit of advice I could get. And who can dispute the master salesman? I still have the book. I believe that it not only made me a better salesperson, but taught me a lot of interpersonal interactions. After all, as Zig says, “Selling is essentially a transfer of feelings”. That’s the truth. If I progressed from being a salesperson to a trainer, I believe Ziglar influenced that decision. I felt the difference it made in my personal as well as professional life. What a huge difference a mentor can make. But Zig is not just famous for his sales wisdom. He has written a number of books related to personal development, attitude development, ethics, motivational books, books on productivity and skill development. Zig Ziglar inspirational quotes are very popular. They also come with a nice dose of humor, hope and enthusiasm. Don’t listen to people who tell you what to do. Listen to people who encourage you to do what you know in your heart is right. Don’t count on the things you do. Do the things that count. Do you have a favourite set of quotes that inspire you? Please share in the comments! Such a nice and useful collection of quotations from Zig Ziglar. These quotes are all applicable in our day to day life. Thanks Corinne and thanks Vidya. That’s a nice compilation of quotes, I like the bathing one too :). I’ve never read any of Ziglar’s books, but now I’m inspired to try! “If you go looking for a friend, you’re going to find they’re scarce. If you go out to be a friend, you’ll find them everywhere.” This is my favourite ZZ quote. In fact, I use it in most of my comments on any post about friendship. Any person who has many friends will vouch for the accuracy of these words! Corinne, congratulations on completing A-Z with a bang! Vidya, thanks for providing the bang!! I recently followed Zig Ziglar on Facebook and am getting daily dose of inspiration and motivation and a lot to ponder too! My fav from the pearls you shared is : Don’t count on the things you do. Do the things that count!! There is so much said in that sentence. You can write an entire book/ a post on it. Thanks for having her over on your blog, Corinne. O this is fabulous! Two master-bloggers together on one blog 🙂 What a great collection of ZZ quotes here, Vidya! I don’t think I could ever sell anyone anything (actually, no that’s not true, I did sell fourteen years worth of stuff – furniture, household/kitchen stuff, even some paintings and other artsy stuff within a matter of few days when I moved from the US to India, but that’s the one and only time) but I appreciate the talent it takes to convince/persuade others to buy. It is not easy at all..but it is an art, I think. Some people do it so effortlessly, at least that’s what I have noticed.